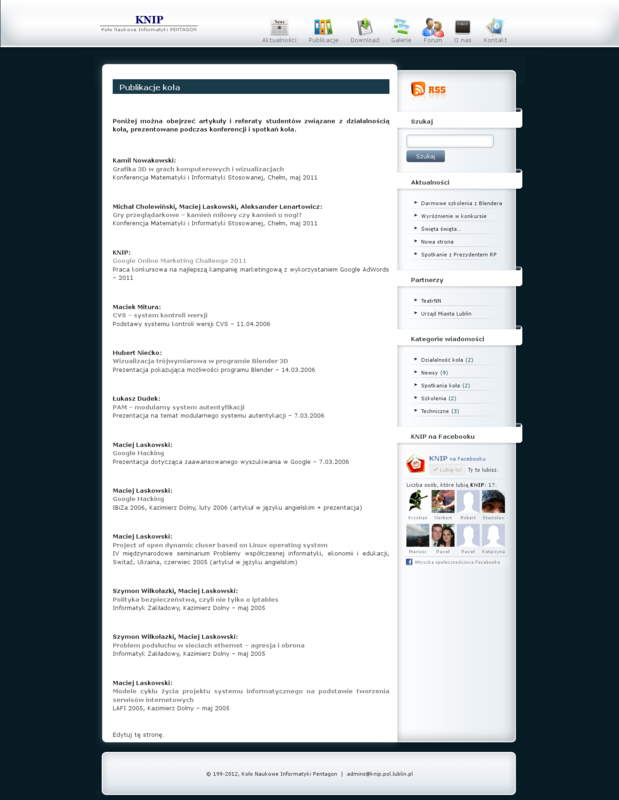 Homepage of Koło Naukowe Informatyki PENTAGON, created to facilitate the publication of information about the activities of scientific society – previous page left much to be desired. 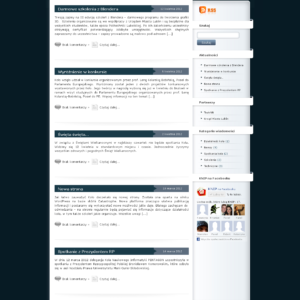 For this purpose, I used WordPress with installed Catastrophe template. 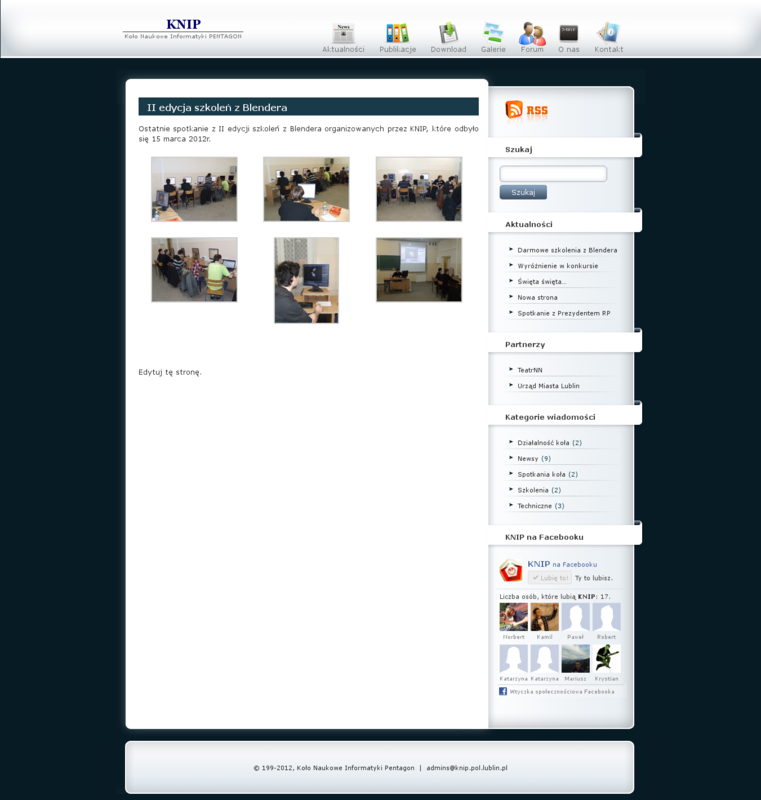 The template was modified to adapt to the needs of Circle and ensure compliance with HTML5. 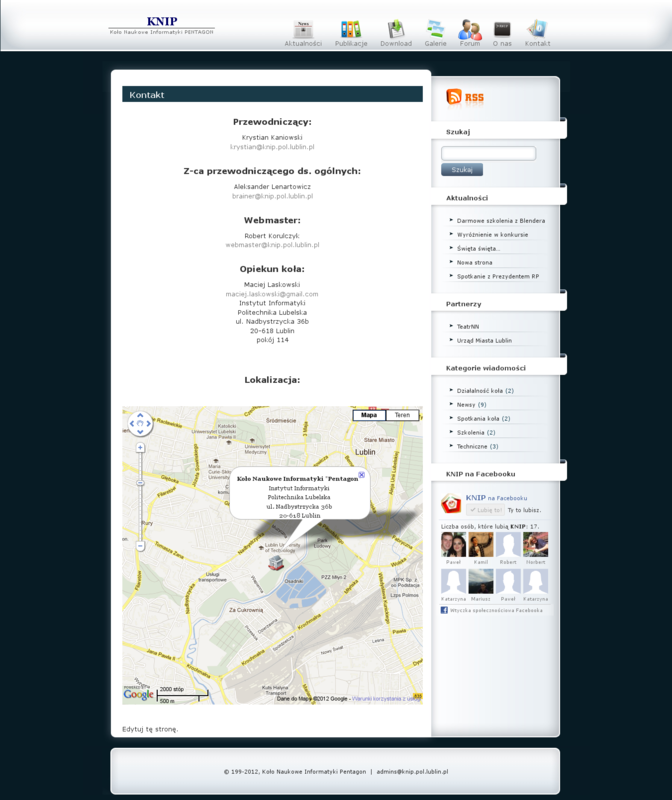 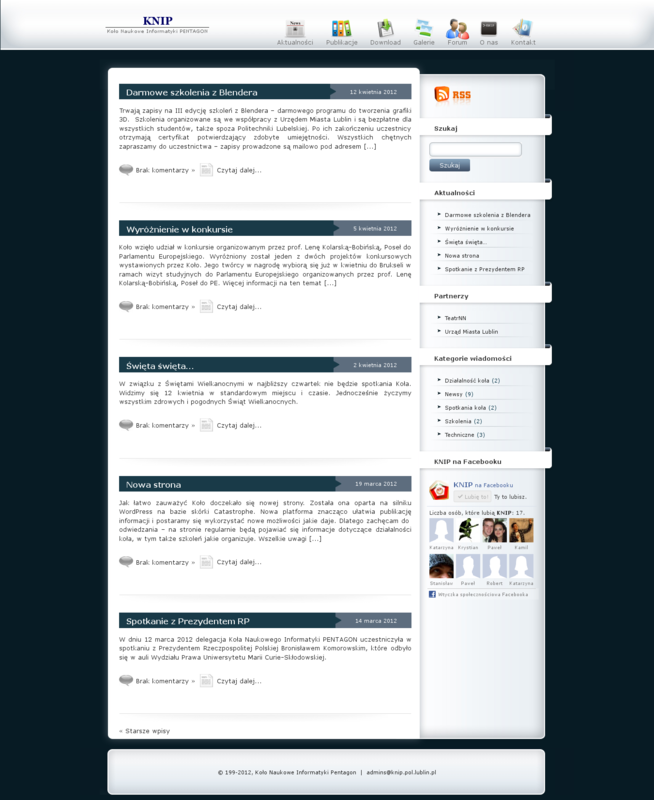 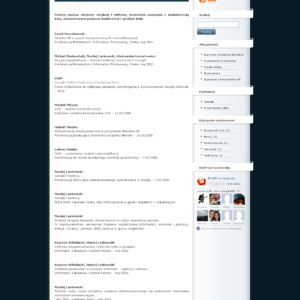 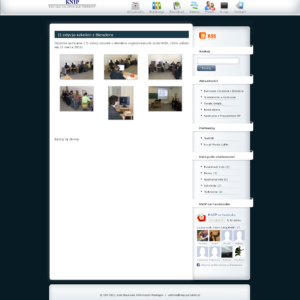 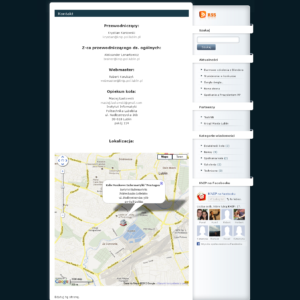 As part of page also works forum based on the engine phpBB3.